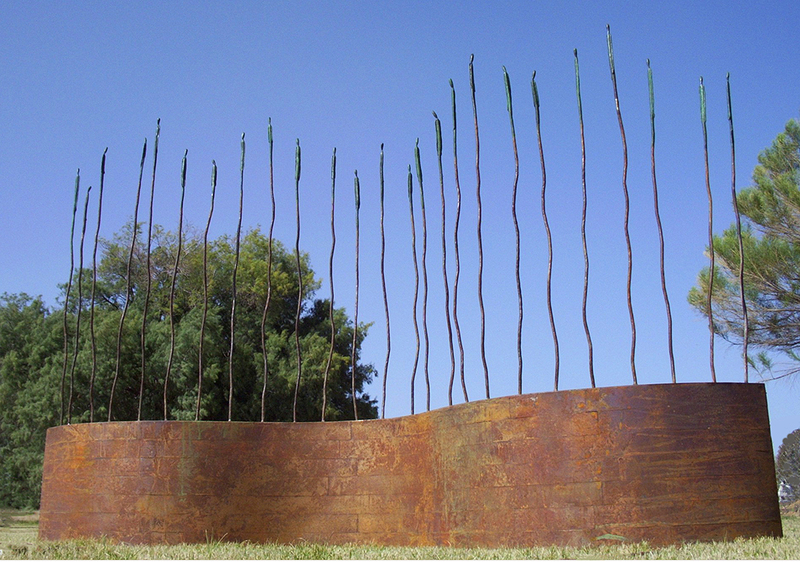 Horizon Lines depicts twenty-five vine-like steel rods growing up from a rusty patinaed base. Atop the vines grow bronze figures, suggesting foliage. The different lengths of the vines can be interpreted as each individual's different stages on their own horizons and as a contour of a distant landscape. © Jennyfer Stratman, StratmanStudio.com. All Rights Reserved.